If you’re anything like me, I went for years never even imagining myself writing a book. Maybe you’ve thought about it, but just been putting it off. Or maybe you’ve wanted to, but just don’t know how to go about it. For starters, let me just say, for the record, I certainly don’t claim to know everything there is to know about writing books. As a matter of fact, I am somewhat of a procrastinator. That said, I also had to put everything on the back burner for a while when my husband had his second kidney transplant a couple of years ago, plus I am a grandma to 3 very active little boys I like to see when I can. Then too, life can be just plain hectic these days. So, at this point, I am still playing catch up, but I am finally making progress, and my husband and I are very excited about the projects I have in the works right now. I currently have two books available on Amazon, you can check them out here. Although I have taken the self publishing route thus far, hubby and I are very optimistic toward pursuing the traditional route for my current projects, which are in the proofreading/polishing stages now. One is a book on faith, which will have my testimony of my near death experience in a horrific automobile accident in November of ’85, you can read more on that here. Be sure to subscribe to my email so you don’t miss out! Also in the works is my “Sadie’s Love” Duology (so far 😉 ). Next up is rolling up my sleeves to write those query letters! But enough about me already! Today, we’re going to talk about you! So what’s your story? Let’s face it. Most of us as writers start out with dreams of hitting that coveted New York Times Best Seller List, and maybe even eventually having our books made into movies. But we quickly find it isn’t that easy. So do we just give up? Certainly not! Quite the opposite. The best way to get started on that path to becoming a NYTBS Author is to do just that, get started. Write that book. Carve out some quiet time to sit down and write. Then, do your online search for literary agencies, midsize publishers (some of which do not require an agent), and follow their instructions to send in a query letter and/or a synopsis of your work. But if your first book is rejected, don’t get discouraged. My first book was more or less a story I had “trapped in me” as Maya Angelou said, and wasn’t really in a popular genre, so after multiple rejections, I finally decided to self publish it through Amazon Createspace. That being said, although sales for it and even my second book have not been quite what I would like them to have been, I look back on the experience and learn from it, and keep writing. After all, that future best seller isn’t going to write itself! A good example of a pro we can learn from here is Jack Canfield, Co Author/Creator of the now ever popular Chicken Soup for the Soul Series, who went through something like 144 rejections before he found a publisher. Did that stop him? No! And just look where he is now! But don’t just take my word for it. Click here for some of Jack’s tips and author training on writing a book and making it a success! So write that book and send those query letters. If it gets rejected 10 or 20 times, don’t just give up. Use the experience to learn ways you can improve, and study the examples of success stories, like Jack Canfield and others. Your story might just be that diamond in the rough! The best way to learn the art of writing is to read. Reading the works of other authors not only gives you plenty of exposure to different writing styles, but it also provides a good way to learn about character development, irony, symbolism, dialogue, personification, as well as the flow of the story itself. The best place to start is with some of those favorite best selling authors you like. As you’re reading, notice how the story is set up. For fiction, what literary agents want to see is: hook, conflict, and resolution. Here, Rachelle Gardner explains more of what literary agents are looking for in a query letter. In a good, best selling fiction novel, you should be able to see how well the author has set this up. There is usually an exciting, romantic, or heart-pounding beginning that “hooks” you as the reader, the ensuing “conflict” between the characters or with one character and their situation, and then how the conflict is resolved, the “resolution”. Another benefit of reading the work of other authors is that it gives you insight into sentence structure, setting up dialogue, punctuation and so forth. I got started early as far as reading, since my dad has always been an avid reader. Being one who especially loves Westerns, he has read every book Louis L’Amour ever wrote. As early as first grade, I found myself reading them from time to time. I especially love the way he writes so as to make you feel you are actually there. I also got my son started on reading at an early age. He is a dedicated fan of the Lord of the Rings Series, ever since my dad gave him his old copy of “The Lord of the Rings”. I have learned a lot just from reading those best sellers by my favorite authors, taking a little something from each of them, combining it all over time as I develop my own style. Best of all, you can set your own “class” hours! Me, (L) and my daughter and grandson at Nicholas Sparks’ book signing for “The Last Song” at Barnes & Noble in Cary, NC. Yes, that’s been a few years, that cute little baby’s 8 years old now! Another of my greatest teachers and one who has been a big inspiration to me is Nicholas Sparks. I have learned a lot from reading several of his books and have seen most of the movies. The turning point in my deciding to pursue a career in writing came the day I met him at one of his book signings at a Barnes & Noble in our area. It was for his book, “The Last Song”, although at the time, I had just finished reading “A Bend in the Road”. I found it to be a very inspiring experience and walked out of that B&N store that day thinking to myself, if he can do it, I can! I haven’t stopped since. I may not have gotten there yet, but then, the turtle won the race with the rabbit, simply because he refused to give up (or waste time and procrastinate, ha ha)! As a matter of fact, Nicholas Sparks also has a page on his website dedicated to those who want to be writers. One of the tips he gives? Just as I said above, read! I have also had the great honor of meeting actress, author, producer, and life coach, Mary McDonough, whom most of us older folks may remember as “Erin” from “The Waltons”, which ran for 9 seasons (and in my opinion, is only one of the best family shows of all time, hands down). In addition to her book, “Lessons From the Mountain, What I Learned From Erin Walton (read my review here), she also has two fiction books now available. Click here to visit her website and check them out! I can honestly say, both of these experiences were greatly inspirational and exciting experiences for me. After all, they have been some of my greatest teachers. So who’s the next best selling author coming to a book store near you? Go! Meet them! For anyone who wants to be a writer, there is nothing quite like the adrenaline rush of getting to meet a best selling author! A learning experience in and of itself! With the convenience of social media these days (and hey, for us old dinosaurs, we are still learning how all of that works, but then again, we all did all of our stupid stuff before the internet, hee hee), more and more authors, especially best selling ones, can be found on Facebook, Twitter, and other places. 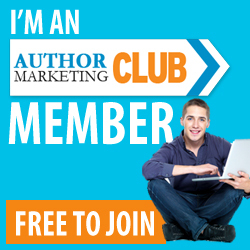 Joining a writer’s group or “Liking” or Subscribing to a best selling author’s fan page can be especially helpful. As you watch what works for them as far as their posts and how they advertise, you will gain insight as to how this whole thing works and that in itself can be a big confidence builder. I am in a writer’s group on Facebook started by Beverly Nault, who worked with Mary McDonough on her book, “Lessons…”, called Fresh Starts Writing Room – Advice for Emerging Writers. As a seasoned traditional as well as self published author, Bev shares a lot of helpful advice and interesting posts/articles, plus we all just kind of help each other. Writers helping Writers, right? Oh, and Mary McDonough is also on Facebook, as well as Debbie Macomber and others. So go find them, watch, and learn! Another Author who has a wonderful blog filled with articles and helpful resources for writers is Joanna Penn, whose blog, The Creative Penn, has been a big help to me. Shelley Hitz also has a lot of helpful resources, podcasts, webinars, and training resources. Derek Murphy, who has a PhD in Literature, has tons of helpful resources, including this page, with info on designing your own book covers, and book cover design templates. Joel Friedlander offers a training course on successful self publishing as well as professionally designed templates for you to use, among other valuable resources. Jane Friedman also has a lot of helpful resources for writers and self publishers. You can check out her blog here. Kary Oberbrunner is an author, coach, and speaker who offers some very helpful resources. I have listened to one of his webinars. Those are just a few suggestions as to resources that have helped me in one way or another. As I said before, if you know of other resources I haven’t listed here, please share! Hey, when it comes to writing, no amount of education is too much. With the increasing ease of self publishing now, more people than ever are turning to self publishing to tell their stories. But you do want your readers to know you made it past the eighth grade, right? So, if it’s been a while, it certainly wouldn’t hurt to enroll in a class or two, whether it’s a writing class or just to brush up on punctuation, grammar, sentence structure, subject-verb agreement, etc. Although as for the writing itself, my “teachers” have mostly been other authors, like Mr. Sparks, Louis L’Amour, Debbie Macomber, and others, I actually lucked out as for the rest, as I have an Associate’s Degree in Office Systems Technology, which involved a lot of Text Editing and Formatting, Keyboarding (okay, the “dinosaur” term is, “typing”), and the like. However, I have also found that you can find all kinds of instructional pages online written by literary agents and other professionals on subject-verb agreement, commonly misused words that sound alike, setting up dialogue with your characters, etc. So educate yourself. Yes, it is incredibly easy to self publish, if that’s the route you want to take. But if you want it to ever have a chance of achieving best seller status, it needs to look like an adult wrote it. Still, we are all human, and if possible, that future best seller will need a professional editing job. But for those just starting out, who haven’t quite raked in enough money from all those awesome sales to afford that option, we need to at least educate ourselves. I still find myself searching the internet at times for one of those “five minute” brush up sessions on something. 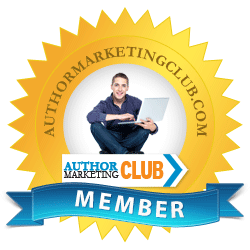 It’s an ongoing process as we work to hone our skills and become best selling authors. But then, when you finally get a literary agent to represent you, if they are legitimate and do things the way they are supposed to, unlike those vanity publishers, then you won’t have to worry about it. Until then…educate yourself. And keep writing. 8. So Stop Procrastinating, Sit Down, and Write that Best Seller! So, what’s your story? Are you tired of walking around with that best seller trapped inside of you, yet? If you’re anything like me, well, life just kind of gets in the way sometimes. As for me, I suffer from PTSD from a horrible car accident, as I mentioned above, and my journey to healing and telling my story hasn’t been an easy one. It’s an ongoing process. But, like that turtle, I am not stopping. We will fall sometimes. But then, we get up and keep trying, and keep helping each other until we get to where we’re going. So, sit down and just start writing. In addition to MS Word, there are also programs more suited to writers that you can check out, like Adobe InDesign and Scrivener, among others. Whatever you use, just sit down and start writing. As for that procrastinating thing, I have found that working to put myself on a schedule, like I do my grandsons when I keep them, has helped me. Work to eliminate the time wasters or other projects that can wait until later, assign yourself a schedule, and stick to it! Reward yourself for doing well! One of the main reasons I think I have tended to procrastinate stems from a lack of confidence, which I suffered for a long time, due to issues surrounding my PTSD. But thankfully, with my faith in God that has brought me through the hard times, and the love and encouragement of my sweet husband, who is also my biggest fan, I’m getting there. So, if you tend to have problems with procrastinating, talk it over with God, your spouse, or a family member who can help you get to the root of the problem. Then, instead of letting the problem continue to be a road block, He will take those “lemons” life has handed you and turn them into the best “lemonade” you have ever tasted. That is when you can finally stop procrastinating, sit down, and start writing that story. Whether it’s your life’s story or the next best selling fiction novel, it isn’t going to write itself! As for that story of the Rabbit and the Tortoise, in the end, it wasn’t about who ran the fastest. It was who kept on going, despite his limitations, and won the race. As for us writers, it’s not about who writes the fastest, or the most books. It’s just writers helping writers. It’s you, finally sitting down to write that story that no one is ever going to read unless you write it! And, it’s getting up again when you fall and pressing on, with the help and encouragement of those who believe in you, and believing in those who will be touched by your story, even though you haven’t met them…yet.